Documents Show Red Cross May Not Know How It Spent Millions In Haiti : Goats and Soda Reports obtained by NPR and ProPublica show the Red Cross did not monitor many of the earthquake relief projects it funded. So the agency may not have answers to this week's questions from Congress. The Red Cross funded these homes in the Parc Tony Colin community in Bon Repos, Haiti, after the 2010 earthquake, but residents say the structures are starting to deteriorate from water damage. Newly obtained internal reports raise questions about how the Red Cross spent nearly $500 million in Haiti. The American Red Cross is under pressure this week to answer detailed questions from Congress about how it spent the nearly half-billion dollars it raised after the 2010 earthquake in Haiti. Some of those answers might be difficult to come by. New documents obtained by NPR and ProPublica reveal that the Red Cross may not have an accurate accounting of how all the money was spent. The reports — internal assessments from 2012 of the group's health and water projects — found the charity failed in many cases to monitor its own spending, oversee its projects and even know whether the projects were successful. The documents also cast doubt on the accuracy of some of the Red Cross' public claims of success. One report found the Red Cross had "no correct process for monitoring project spending." Another pointed to $10 million the charity gave to other nonprofits to fight the spread of cholera. The review found the Red Cross did not evaluate any of the work by these other nonprofits, did not seem to know if any of the objectives had been achieved and wasn't aware that one of the nonprofits mismanaged its funds. The review concludes: "It is too late to tend to this." "It is very heartbreaking," says Bonnie Kittle, who was one of the independent reviewers hired by the Red Cross and author of one of the reports. She described her findings in an interview with NPR: "The only real advantage that the American Red Cross had over other organizations was that it had this huge amount of money. Otherwise it was very handicapped." The Red Cross declined NPR and ProPublica's request for comment on the reports. In a statement, Red Cross spokeswoman Suzy DeFrancis said NPR and ProPublica have "mischaracterized" the Red Cross' work, stating "we will no longer respond to your requests." 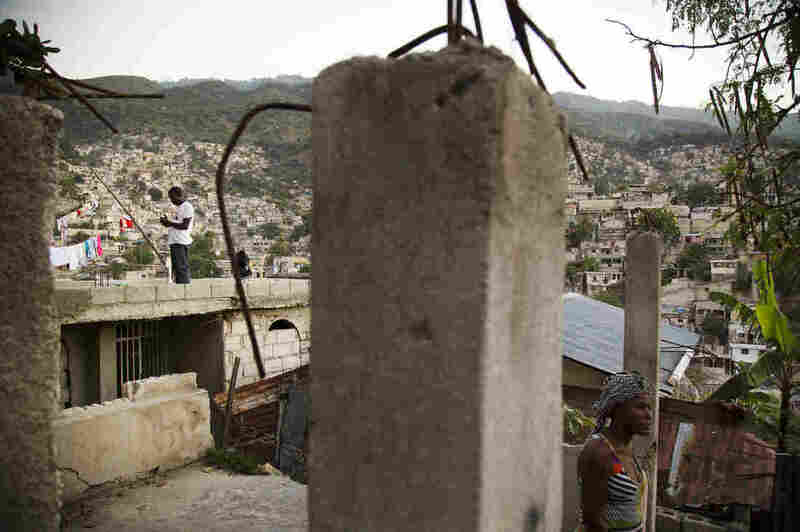 The findings parallel NPR and ProPublica's earlier reporting about the Red Cross' troubled efforts to help Haiti recover from the 2010 earthquake. The charity has so far declined to explain how the almost $500 million was spent, what programs it ran and what its expenses were. 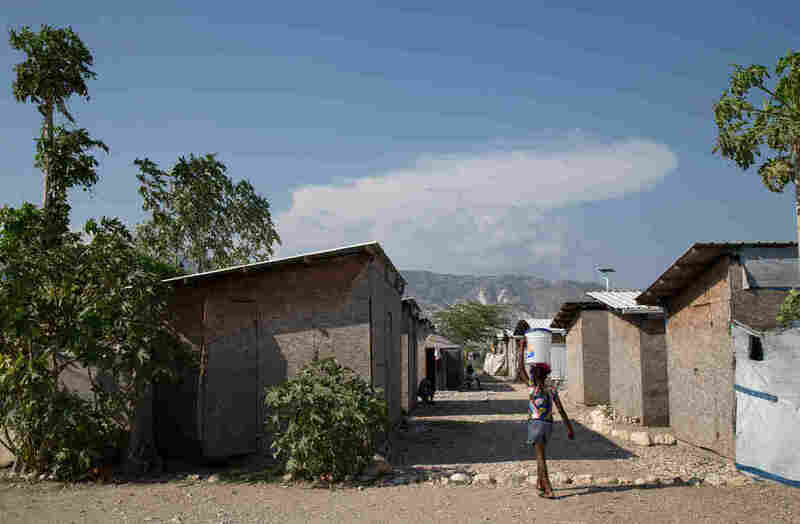 In explaining the troubles in its Haiti program, the Red Cross has previously cited the challenges of operating in one of the world's poorest countries, particularly confusion over land ownership and title. But the internal assessments also lay blame on American Red Cross headquarters in Washington. The report on health projects found: "In large part because of the centralized decision-making, most if not all of the directly implemented projects in Haiti are behind schedule." The report also found that Red Cross figures about how many people it claims to have helped on one project were "fairly meaningless." Kittle says the Red Cross provided Haitians with important skills and Red Cross workers on the ground were passionate and dedicated. She also says local Red Cross managers in Haiti implemented training after her report to try to correct some of the problems. Additionally, according to one report, one aspect of the Red Cross' response went well — a hygiene promotion project that was already underway and was quickly refocused on battling cholera: "The rapid scale up of cholera prevention activities in the camps likely helped save many lives." But overall, Kittle says the Red Cross was unable to shift from its expertise — emergency relief — to rebuilding in a developing country and was unable to properly manage the programs it implemented. She pointed to one $24 million neighborhood project in Campeche, a neighborhood on the outskirts of Port-au-Prince, where residents were once promised new homes but have not received them. The Red Cross boasts that one of its marquee housing projects is in the neighborhood of Campeche (above). But residents say they don't see where the $24 million was spent. "It's really easy to be very disappointed when you hear those numbers — the amounts of money," she says. "And the little it seems that they were able to accomplish." According to the reports, many of the managers had little meaningful interaction with local residents. One senior manager couldn't speak French or Creole, hindering efforts to interact with the community. One report found turnover was so high among senior staff that at one point 20 out of 24 managers in Haiti decided not to renew their contracts. Francois Pierre-Louis, an associate professor at Queens College in New York who works closely with community organizations in Haiti, says the findings in the reports echo many of the complaints he has heard as well. He says reading through the reports shocked him. "Given the expertise of the American Red Cross and given the amount of money that it had, they were so incompetent," he says. "One of the things you can see in these reports ... I don't see anywhere where they had community meetings to ask the local organizations, 'How can we do this differently?'" U.S. Sen. Charles Grassley has asked the Red Cross to respond by Wednesday to more than a dozen detailed questions about how it spent the money in Haiti and what exactly that money achieved.